The U.S. and Israel are pulling out of UNESCO, over what they call an ‘anti-Israel bias,’ but the move may actually underscore their bias towards basic Palestinian rights. Meanwhile, Palestinian factions Fateh and Hamas have reached a new unity deal. Ali Abunimah is co-founder of the award-winning online publication The Electronic Intifada and author of ‘One Country: A Bold Proposal to End the Israeli-Palestinian Impasse’. His latest book is titled ‘The Battle for Justice in Palestine’. Based in Chicago, he has written hundreds of articles on the question of Palestine in major publications including The New York Times, The Guardian and for Al Jazeera. AARON MATÉ It’s The Real News. I’m Aaron Maté. The US and Israel are pulling out from the U.N. body UNESCO. UNESCO is responsible for international cooperation in education, science, culture, and communication. The US government and Israel say it has an anti-Israel bias. Is UNESCO really being punished because in fact, Israel and the US have an anti-Palestinian bias? Over US and Israeli objections, UNESCO has admitted Palestine as a member and has declared the Palestinian city of Hebron, a world heritage site in danger. Ali Abunimah is co-founder of the website, Electronic Intifada and his latest book is The Battle for Justice in Palestine. Ali, welcome. You have an article up at The Electronic Intifada saying that in doing this, in pulling out of UNESCO, the US is putting Israel first. ALI ABUNIMAH: Yes, it’s extraordinary because Trump came in shouting, “America first.” The US statement announcing the withdrawal from UNESCO, specifically sites an anti-Israel, alleged anti-Israel bias at UNESCO, which I found extraordinary because it’s impossible to imagine the US citing an anti-British, or anti-Canadian, or anti-French bias for any action it might take. That would subject the President to all kinds of accusations of putting another country first but that seems to be quite normal in this country, and especially odd, I think, when we have all of this hysteria about supposed Russian interference. AARON MATÉ Right. Yes, the, one of the main topics of focus right now. Let’s talk more about UNESCO. Israel’s been leading a campaign against it for a long time and UNESCO’s crime appears to be that it’s voiced concern for the very precarious state of Palestinian areas like Hebron and also the Old City of Jerusalem. AARON MATÉ Right, Ali. What you’re talking about there, I’m just thinking, it’s a wonderful metaphor for how defenders of Israeli government policies have long, the terms in which they framed this conflict. If you recognize basic Palestinian existence, humanity. Like for example, recognizing their connection to the sites where they’ve lived forever, then all of a sudden you’re denying a Jewish, you’re denying Jewish rights and you’re denying Jewish identity. It really is quite striking. Let me ask you, whenever I interview you about the Israel Palestine conflict, it’s like every single time we have to point out that these policies predate Trump.This story with UNESCO is no exception, because after UNESCO voted to admit Palestine as a member back in 2011 I think, it was the administration of Barack Obama that cut funding to UNESCO in response. Now, that’s put the U.S. in arrears for hundreds of millions of dollars. What this decision by Trump now means, is that the U.S. is not going to have to pay … It’s not going to pay its bill, so it owes UNESCO something like $500 million in dues, but now because Trump is pulling out, the U.S. is not going to cover the dues that it owes because Obama cut its payments back five years ago. ALI ABUNIMAH: Well, that’s right. All of these policies are a continuation. Of course, Trump is only the latest President to provide political and diplomatic cover to Israel’s crimes, its colonization, its occupation, and so on. Of course, Obama was doing that. While he was cutting funding to UNESCO, let’s remember that Obama is the one who a year ago signed a memorandum with Israel to give it the biggest military aid package in the history of the United States, starting from the coming year, the coming fiscal year. Obama was also a continuation of that policy. It’s important not to reduce this to big bad all Trump. These are U.S. policies that have been fundamentally structurally anti-Palestinian for decades.As it regards UNESCO and the presence of Israel and the United States, I mean, I would say, “Good riddance,” to them, because what they have done is turn UNESCO and other U.N. agencies into tools for their own attempts to legitimize Israel’s violations of international law and Palestinian rights, now perhaps without the distraction of Israel’s bullying and smear campaigns. Remember when the votes went against it last year, Israeli diplomats started comparing UNESCO to ISIS. That’s the level of defamation and smearing that Israel gets into. I think without those distractions, without the sabotage by the United States and Israel, perhaps UNESCO can go on to do some good in the world.I welcome Israel’s announcement that it plans to withdrawal from UNESCO and encourage Israel to go much further and to withdraw from other U.N. agencies and indeed from the United Nations altogether. I think that would be fitting, since Israel has since its establishment, shown nothing but utter contempt for the United Nations, utter disregard for international law, and is in violation of more U.N. resolutions by far than any other state. I would say, “Good riddance to Israel,” and encourage it to follow the logic of its departure from UNESCO and to leave altogether. AARON MATÉ Ali, let me switch gears a little bit to this news coming out of the occupied territories. Just on Thursday, the two main Palestinian factions, Hamas and Fatah, assigned a reconciliation agreement in Cairo. It seems like a pretty big concession for Hamas, because they’re effectively giving up day-to-day control of Gaza, which they’ve been in control of for a decade now. Also, Gaza’s borders. Your thoughts on what’s just happened here. ALI ABUNIMAH: Well, it’s déjà vu. They’ve signed I don’t know how many reconciliation agreements over the past few years. Right now, there is tremendous optimism, or hope let’s say, among Palestinians, particularly in Gaza that this will yield something, because the situation in Gaza is so desperate. Hamas is really in a bind. It is really besieged and cornered in Gaza, so it needed to do something to break out and change the situation. I’m honestly very skeptical that it’s going to lead to any dramatic change, because really the fundamental disagreement between Hamas and Fatah, or Hamas and the Palestinian authority run by Mahmoud Abbas and his Fatah faction, has not been addressed by this deal. Which is, that Hamas is an armed resistance movement that has fought three wars against Israel in the last decade, while Abbas and his authority work closely with the Israeli occupation army in the west bank.It seems impossible, it is impossible to reconcile, on the one hand, a group that is collaborating with the occupation, on the other hand, with a group that is resisting to it. The only way to resolve this, is if Abbas gives up his collaborative relationship with the Israeli occupation, or Hamas surrenders its weapons and renounces resistance. Neither of those outcomes are likely and so there’s going to be an attempt at some kind of fudge and to kick it down the road. For all the fanfare of this agreement, they had celebrations in Gaza and so on. The issue of Hamas’ weapons has been kicked down the road. It has not been addressed. You have Israel saying, “That we will not accept any agreement in which Hamas does not surrender its weapons.” Really, I don’t see anything fundamental going to change.I think it’s important to understand the split among the Palestinian factions, not really as an internal issue but as a product of the relationship with Israel. Is that Israel will only deal with and accept Palestinian leaders who collaborate with the occupation. It will not accept a resistance movement as part of a Palestinian political establishment. I think that really raises fundamental questions about what the Palestinian strategy is. Is it to continue to go along with this dead peace process of collaborating and cooperating with Israel? Or does there have to be some kind of broader strategy that mobilizes Palestinians to resist? AARON MATÉ Right. I mean, Israel is so opposed to Hamas and its insistence on its right to resist, that even when Hamas respects these multiple cease fires that we’ve seen, it’s Israel that we constantly see violating it in an attempt to provoke a violent response. ALI ABUNIMAH: That’s correct. It’s not just Israel, because the so-called international community is very complicit in this destructive dynamic. Let me give you an example. Last May, Hamas put forward a new charter, which made some really significant concessions. I mean, these were positions that it had taken before, but it sort of formalized them in May. Particularly, accepting the 1967 borders as the outline of the settlement, offering Israel a long term indefinite truce and cease fire, and separating itself from the Muslim Brotherhood saying that, “It’s an independent Palestinian nationalist movement,” and so on. As I’ve pointed out in some of my articles, these are the kinds of shifts in position that were fundamental to making breakthroughs in Ireland with Sinn Féin and the IRA on the one hand and the British and the loyalist on the others.What had to happen was there had to be reciprocal steps. What you’d expect to see now, for example, is the European Union as one example, acknowledging those changes in Hamas’ position, and opening up some kind of dialogue, and encouraging Israel to offer something reciprocal. Instead, what we’ve seen is the European Union taking the same hard-line rejectionist approach as Israel and is saying, “We will have no change in policy. We will not talk to them.” Effectively, the Palestinian resistance has to surrender. What that guarantees is that there is going to be no political breakthrough and I think it increases the likelihood of another war against Gaza with potentially even more catastrophic consequences. We have to be very clear that if and when that happens it will not be because of Hamas. It will be because of the rejectionism of Israel and its international supporters. AARON MATÉ We have to leave it there. Ali Abunimah, co-founder of The Electronic Intifada. His latest book is The Battle for Justice in Palestine. Thanks, Ali. AARON MATÉ Thank you for joining us on The Real News. Former British premier and Middle East Quartet envoy Tony Blair has admitted for the first time that he and other world leaders were wrong to yield to Israeli pressure to impose an immediate boycott of Hamas after it won Palestinian elections in 2006, according to the Guardian newspaper. At the time, Blair offered strong support for the decision, driven by the George W Bush White House, to halt aid to and sever relations with the newly elected Hamas-led Palestinian Authority unless it agreed to recognize Israel, renounce violence and abide by previous agreements between its Fatah predecessors and Israel, but such ultimatum was rejected by Hamas. Blair did not elaborate on subsequent “informal” dealings with Hamas, but he appears to be referring to clandestine contacts between MI6 and Hamas representatives during and possibly after the kidnap of BBC journalist Alan Johnston by an extreme fundamentalist group in 2007. The kidnappers eventually released Johnston after heavy pressure from the Hamas government. 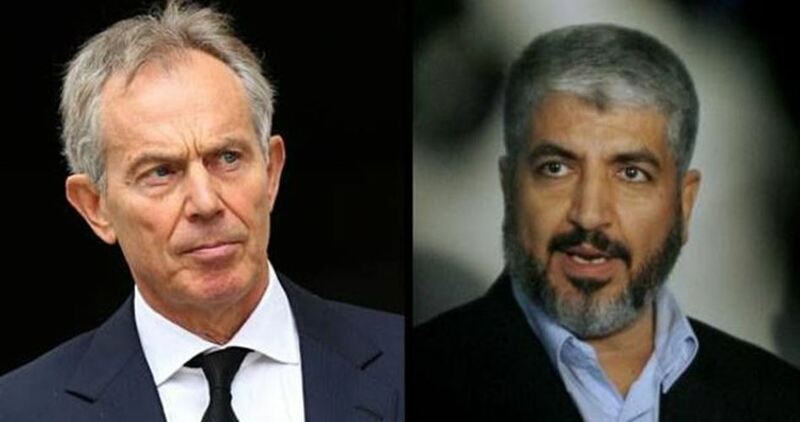 The Guardian quoted sources as saying that Blair had held at least six lengthy private meetings with Khaled Mishaal, the former Hamas political bureau chief, and his successor Ismail Haneyya. Those meetings were to explore a possible long-term ceasefire between Israel and Hamas, but the international block on official contacts with Hamas eroded western leverage in the region, increased the isolation and suffering of the Gaza public, and helped to drive the Movement into the arms of Iran, all without dislodging it from its dominance of Gaza. 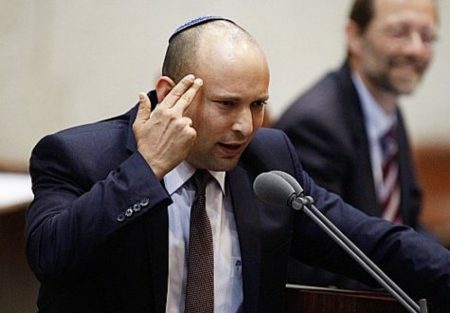 Bennet will demand the cancellation of all agreements signed with the PA, including the abolition of the construction of a new residential neighborhood on the outskirts of Ramallah, and the establishment of industrial zone in Tarqumia. He said, according to the PNN, that Israel cannot accept the reconciliation agreement between the Palestinian Authority and Hamas. The Israeli government has renewed its conditions for its acceptance of the reconciliation deal signed on Thursday between Hamas and Fatah in Cairo. "Any reconciliation between the Palestinian Authority and Hamas must meet the Quartet's conditions, [which are] accepting international agreements, recognizing Israel and disarming Hamas," a senior official from Israeli premier’s office said. 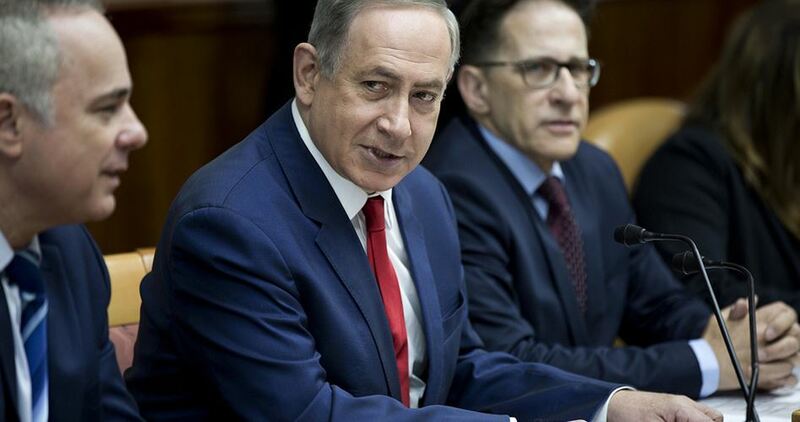 He stressed that in addition to complying with the Quartet's conditions, Israel demands the immediate release of the Israelis held by Hamas, Abera Mengistu and Hisham al-Sayed, and the remains of killed soldiers Oron Shaul and Hadar Goldin. He added that Israel would continue to hold Hamas responsible for any attacks against Israel from the Gaza Strip, but he also said that if the reconciliation agreement came to fruition and the PA returned to control the Strip, then it, too, would be held responsible. However, he said that Israel would follow any developments on the ground and would act accordingly. Israeli premier Benjamin Netanyahu has ordered Israeli diplomats to prepare Israel’s withdrawal from the UNESCO in concert with Washington, which announced its decision to pull out of the agency. Washington said Thursday it decided to pull out of the UNESCO because of its anti-Israel bias, and stressed the need for fundamentally reforming the agency in a way that serves US and Israeli interests. 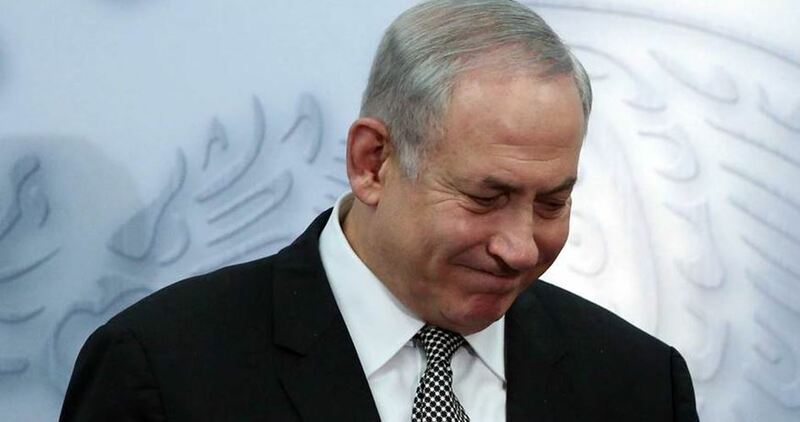 The US decision cheered Netanyahu up and encouraged him to declare that Israel would follow suit. The US was angered in 2011 when UNESCO members granted Palestine full membership of the body and decided to stop funding UNESCO but did not officially withdraw. The US opposes any move by UN bodies to recognize Palestine as a state, believing that this must await a negotiated Middle East peace deal. Last July, UNESCO declared the Old City of al-Khalil (Hebron) in the occupied West Bank, as a Palestinian World Heritage site in danger, a decision sharply criticized by the US and Israel. The number of suicide cases among the Israeli army soldiers is “constantly” mounting, Hebrew reports have revealed, according to Days of Palestine. Israel’s 0404 reported, today, that an Israeli soldier at the Hatzor military base, located at the southern area of the Palestinian occupied territories, committed suicide last night, as she fired a bullet at her head. The incident is one of series of suicide cases that have been monitored over the past two and a half months, during which seven soldiers committed suicide. Israeli police are currently investigating the cases, the Israeli website noted. 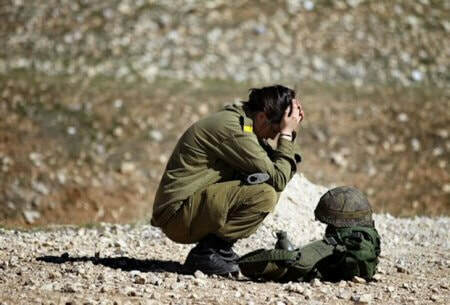 Spokesperson of the Israeli occupation army has recently said that the last three years have witnessed an increase in the number of suicide cases among the Israeli soldiers. In 2016, some 15 Israeli soldiers committed suicide over the course of the year, according to The Times of Israel. A number of soldiers have also reportedly suffered from mental disorder and bed-wetting episodes after carrying crimes in Gaza. Moroccan lawmakers protested yesterday, against the presence of an Israeli delegation at a conference organised by the Parliamentary Assembly of the Mediterranean (PAM) and the World Trade Organisation (WTO), at the Moroccan Parliament in Rabat. 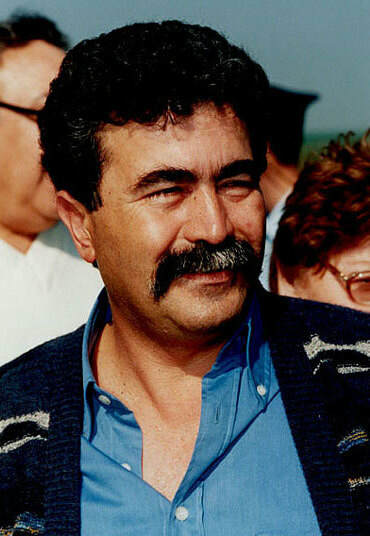 “You are a war criminal and you have to leave Morocco,” said Abdel Haq Hissan, a Democratic Confederation of Labour (CDT) MP, addressing former Israeli Defence Minister Amir Peretz in the conference hall. 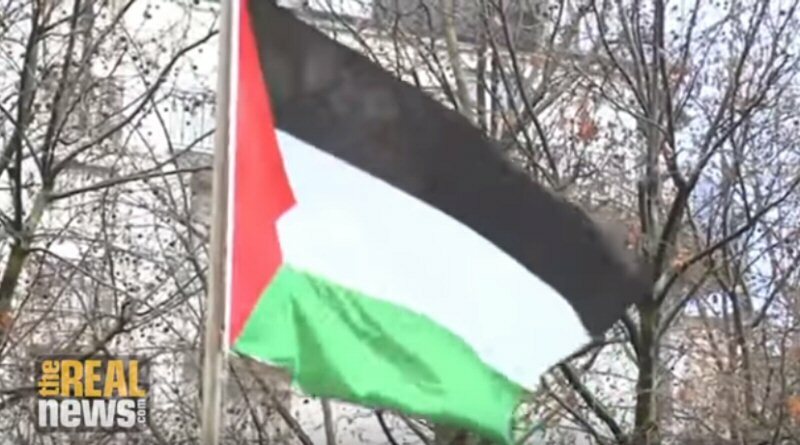 The Moroccan parliamentarians raised the Palestinian flag and banners inside the conference hall, calling for the expulsion of the delegation. On Saturday, three parliamentary blocs in the House of Advisors rejected the presence of the Israeli delegation. The ruling Justice and Development Party (AKP), the Moroccan Workers Union, the largest union in the country and the CDT said in a joint statement that they “received with great dismay” the news that Peretz was there. PAM and the WTO are organizing a two day conference on facilitating trade and investment in the region.